Manali is a blissful little hill station located around 2050 meters above the sea level. It is a well-crafted temptress with snow-capped mountains in the backdrop and restless river. Famous for its natural beauty and activities, zorbing and paragliding are the two most sought after activities in Manali. 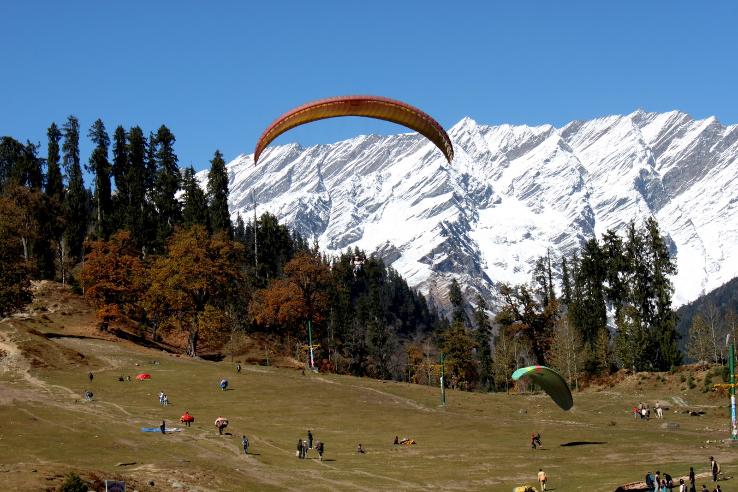 if you are planning for zorbing and paragliding in manali then visit to solang valley. solang is famous for zorbing and paragliding. rates are also reasonable. My overall experience in was Very Good. Best time to visit is Morning. It has easy and good availability of food & drinks. My overall experience in was Excellent. Best time to visit is Anytime. It has easy and good availability of food & drinks.